When you're battling the mean streets of NYC, you don’t have time to worry about your hair. But when you’re battling monsters and evil villains, you REALLY don't have time to worry about your hair. That’s why it pays to have your signature look ready at a moment's notice. Whether you’re stepping out of a cab for a swanky costume party or lassoing the truth and defending peace, your beloved Wonder Woman Wig will ensure you can keep your eye on the prize. 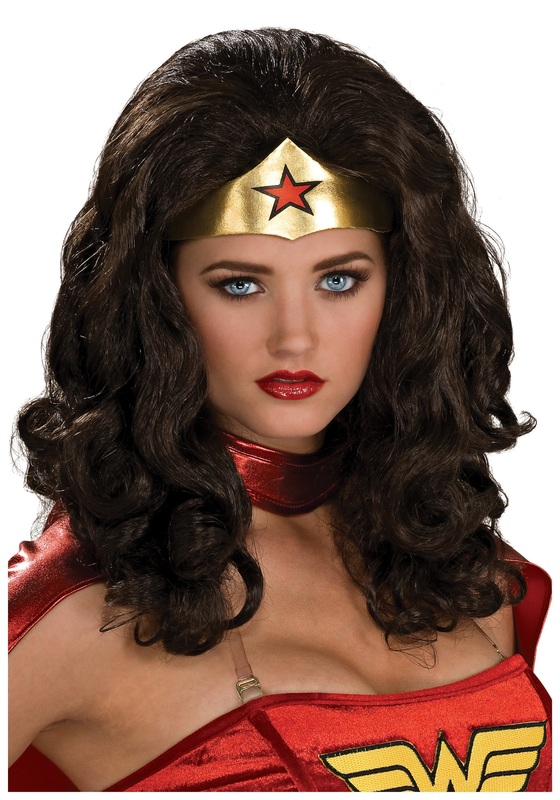 Add the iconic headband and you’re ready to rock a full Wonder Woman costume, but we also think you may want to keep this wig on hand for whenever you’re in need of a bit of a beauty boost. Without the headband, it just makes you look like you’re having a really good hair day. Lots of hair! Very full, and beautiful. Item is as described and will be an excellent choice for Wonder Woman! This wig is very thick and lovely. Great buy!